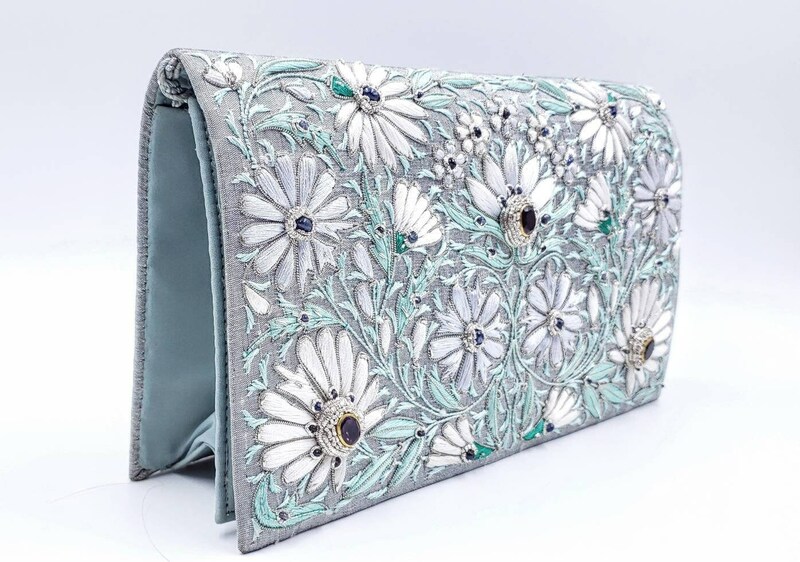 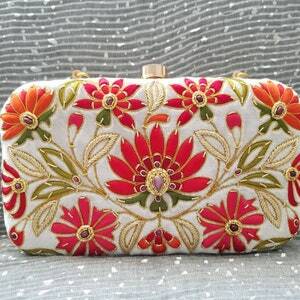 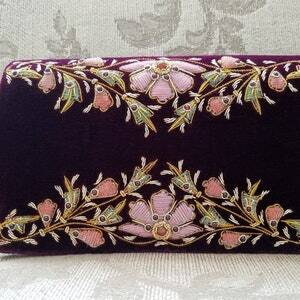 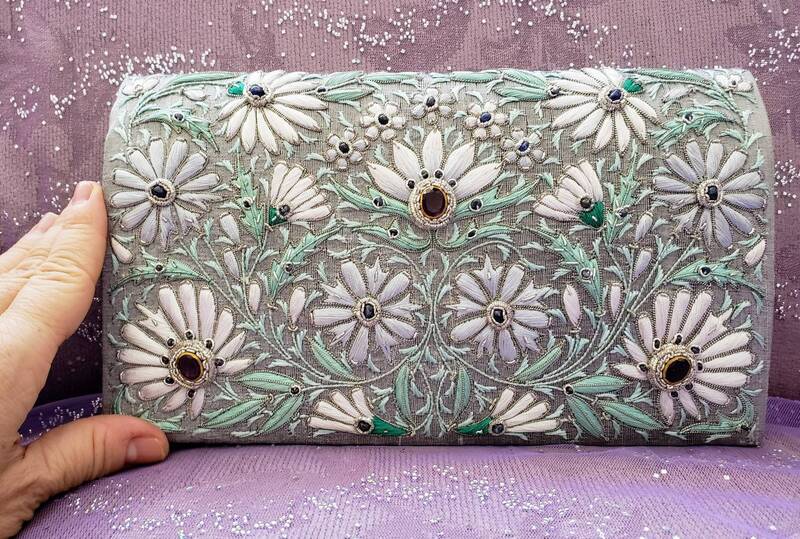 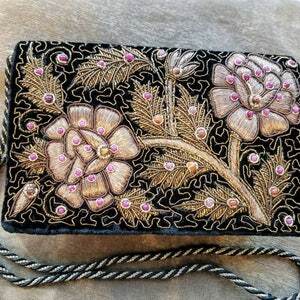 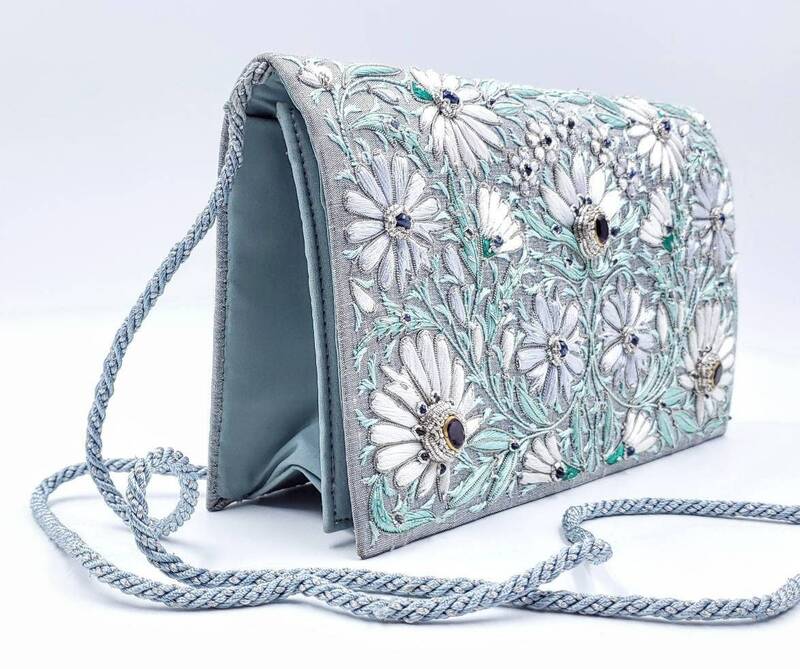 Exquisitely opulent hand embroidered silk clutch. 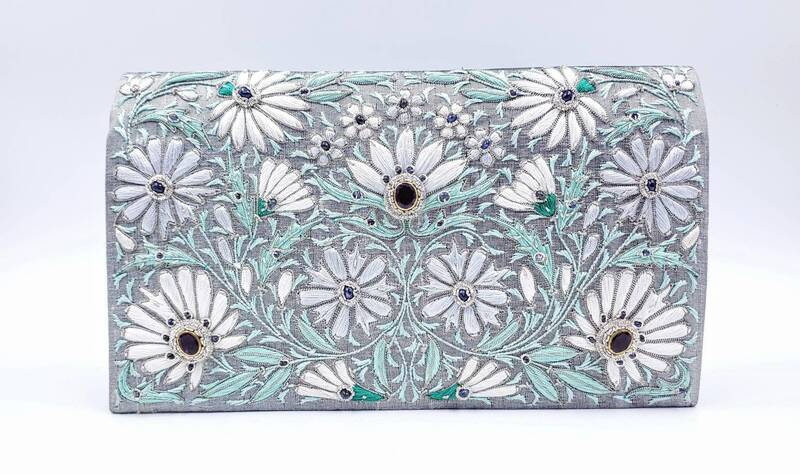 This intricately and extravagantly jeweled masterpiece adds instant glamour and elegance to wedding or evening ensembles. 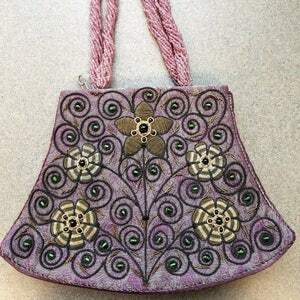 - three large faceted deep purple amethysts and constellations of tumbled blue sapphire stones, sewn in. 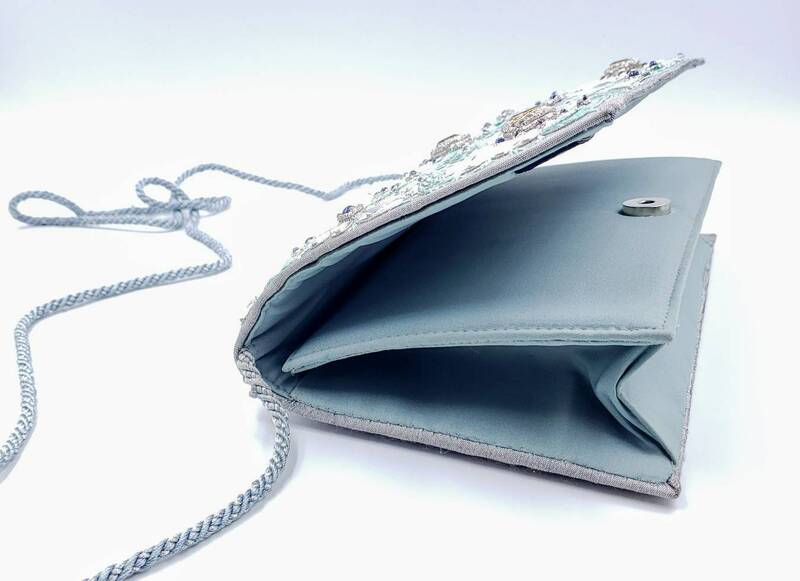 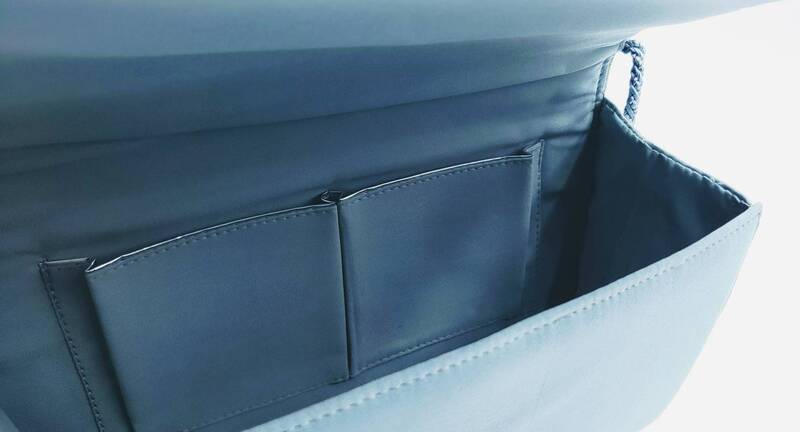 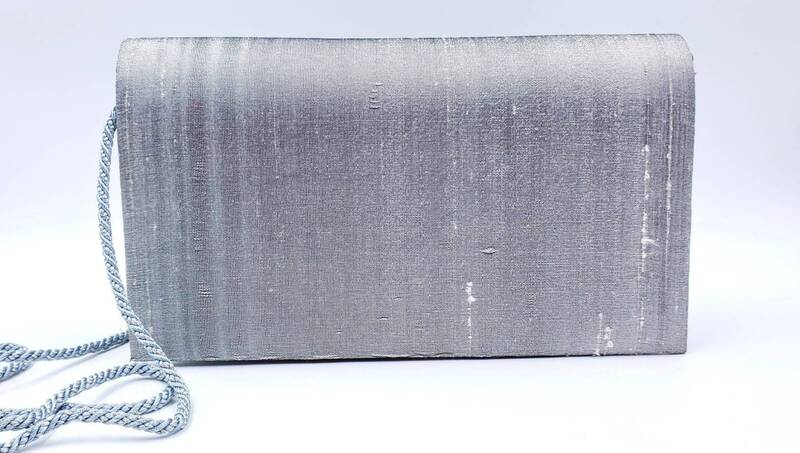 - optional braided silver and grey corded shoulder strap with 27 in drop, which can be tucked inside.